This hamper is retro heaven. 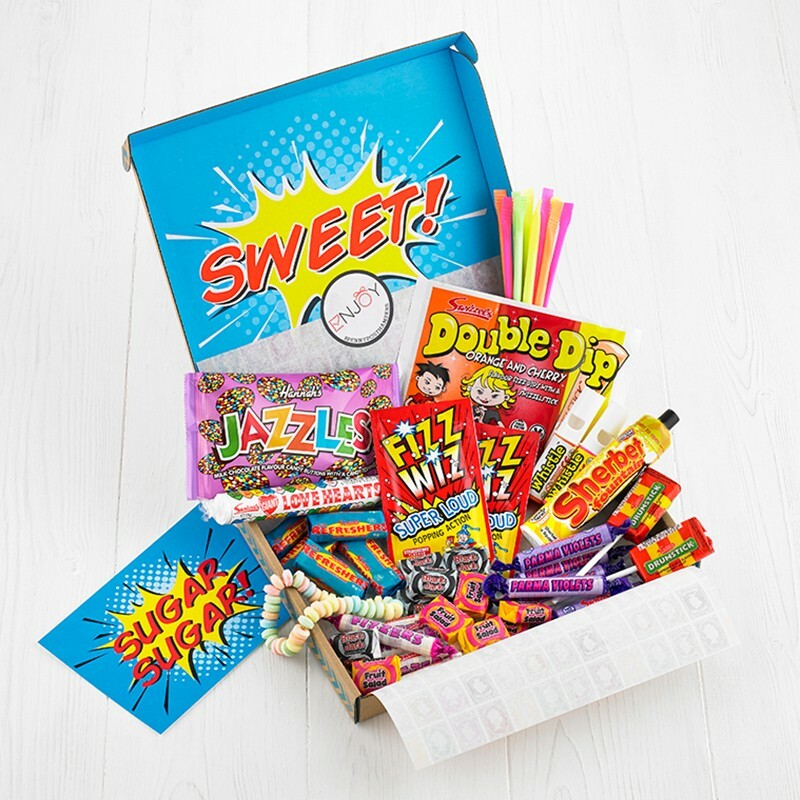 Bursting full with your favourite childhood sweets such as Sherbet Fountain, Double Dip, Drumstick and more! The ideal gift for those with a sweet tooth on a special occasion. Guaranteed named day delivery is available Monday to Saturday excl. bank holidays. Order before 1pm Monday to Friday for next day delivery. Order before 11.00 am on Sunday for Monday delivery. Order by 1pm for next day delivery and receive a one hour delivery window in the morning, notified in advance so that customers don’t have to wait in for the delivery. Please note: Letterbox hampers are sent with 'free untracked delivery'.